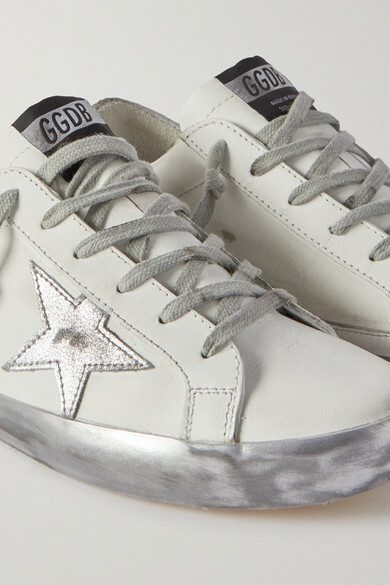 Golden Goose's 'Superstar' sneakers are brushed and waxed by hand to give them the look and feel of your old favorites. 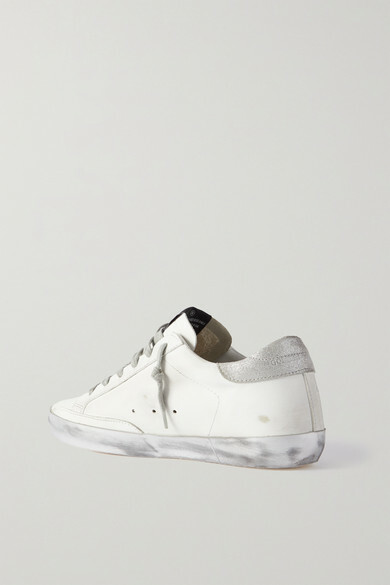 Made from supple white leather (so they don't really need breaking in), this version of the cult shoe is decorated with the label's signature star appliqué. Wear yours with everything from cropped jeans to midi skirts. Shown here with: Alexander Wang Jacket, Matthew Adams Dolan Jeans, Burberry Shoulder bag, Wolford Bodysuit.